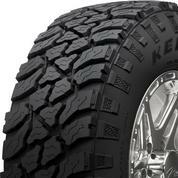 Rugged, dependable mud terrain tires for your truck don’t have to cost a lot – here’s proof. Now with Ironman’s 2-year Road Hazard Protection Policy. Replaces your tire if it suffers road damage under normal driving conditions. 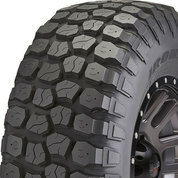 Chewing through mud and slicing through water, this tire is ready for off-road adventure. 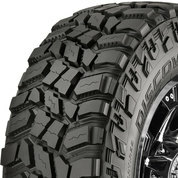 Made for playing in the mud, this ultra-rugged off-road tire is equally at home on the streets. 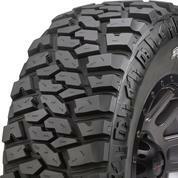 Plow through mud, dirt, and debris with this rugged mud terrain tire – Cooper’s most extreme design yet! 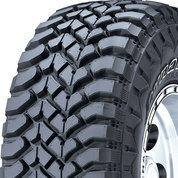 Off-road driving just got better with puncture-resistant structure and improved stability. 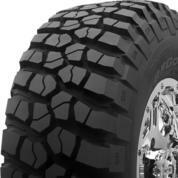 This ruggedly built off-road tire will get you into -- and out of -- pretty much anything you want to explore. Love to go off-road? 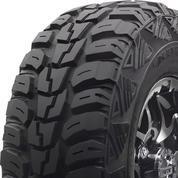 This tire will help you conquer even the most challenging obstacles. 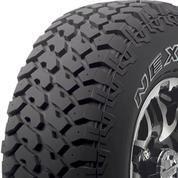 Get extreme traction for your truck or SUV, and tackle mud, dirt, rocks – and anything else in your way. 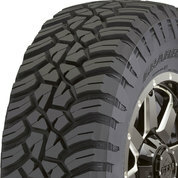 If you want powerful performance off-road, through mud, or in snow, this ruggedly built tire delivers. 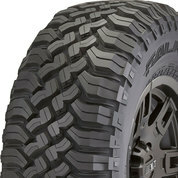 This rugged all-terrain tire delivers powerful traction, both on- and off-road.